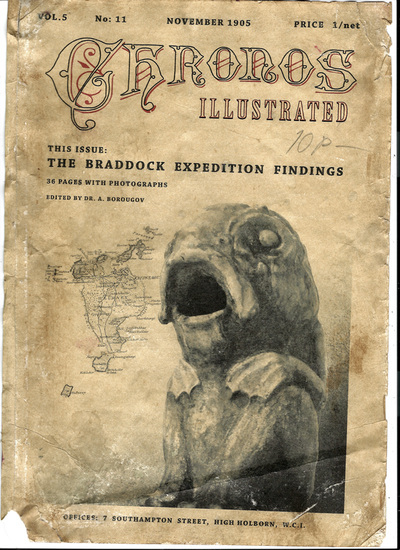 Regarding Juha Rajamäki and the Braddock Expedition of 1904. 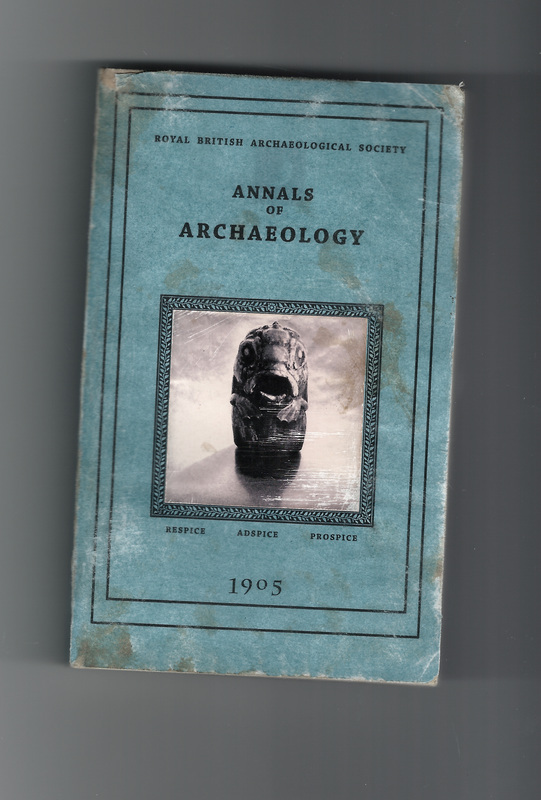 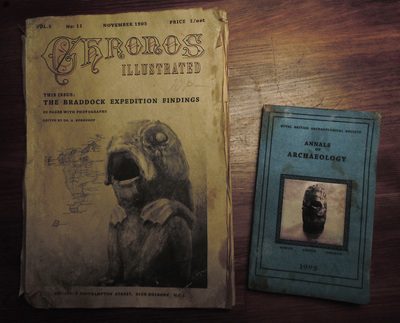 "Haphazardly patched up by Doctor Vincent Beardsley, the next day Juha oversaw the excavation of the fissure which produced a generous amount of specimens of strange algae, unidentified glyph carvings, some heavily oxidized bronze artifacts, various coin of which many were of roman descent, a strangely shaped piece of gold, mammal bones and a spectacular 9.4" marble idol portraying some nameless god of the sea." 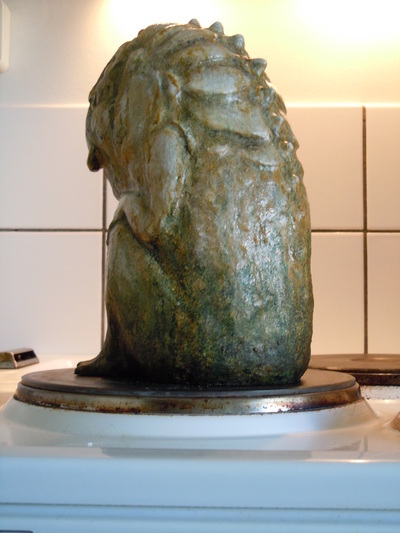 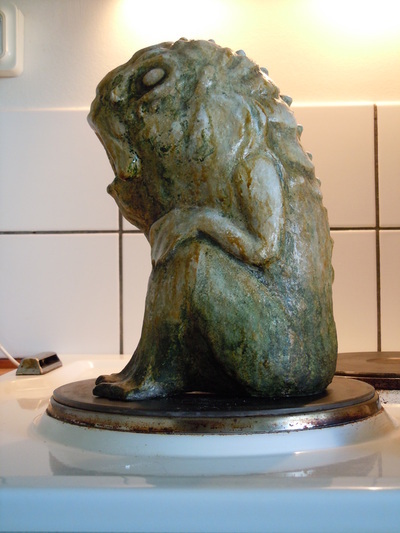 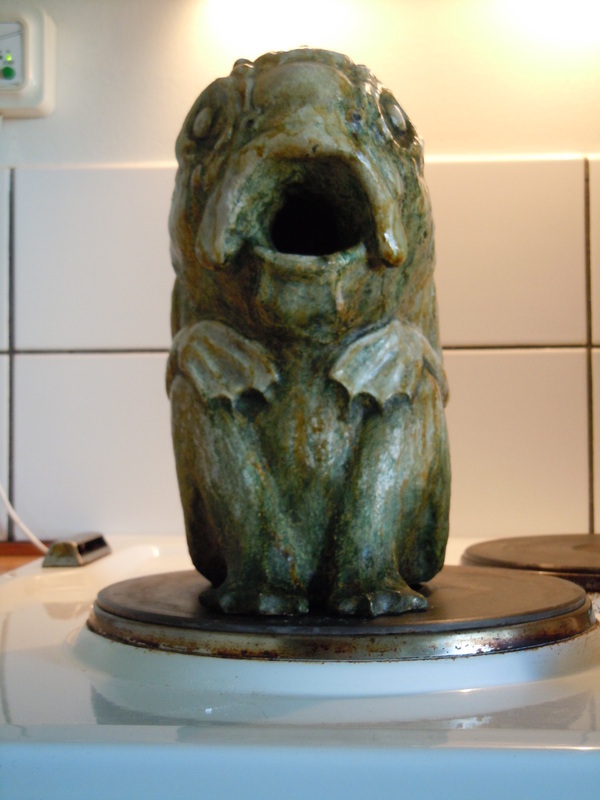 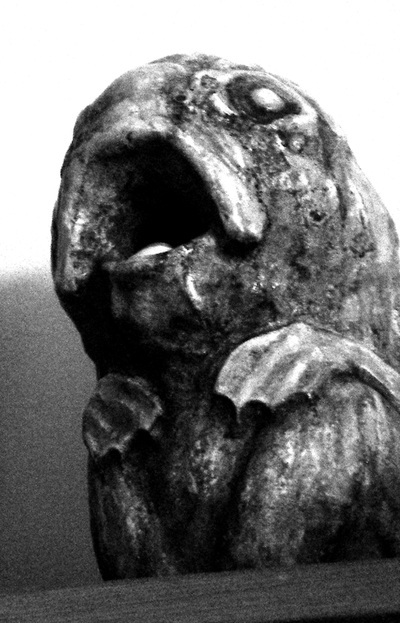 A ca: 25cm tall sculpture of a fish/frog-being. 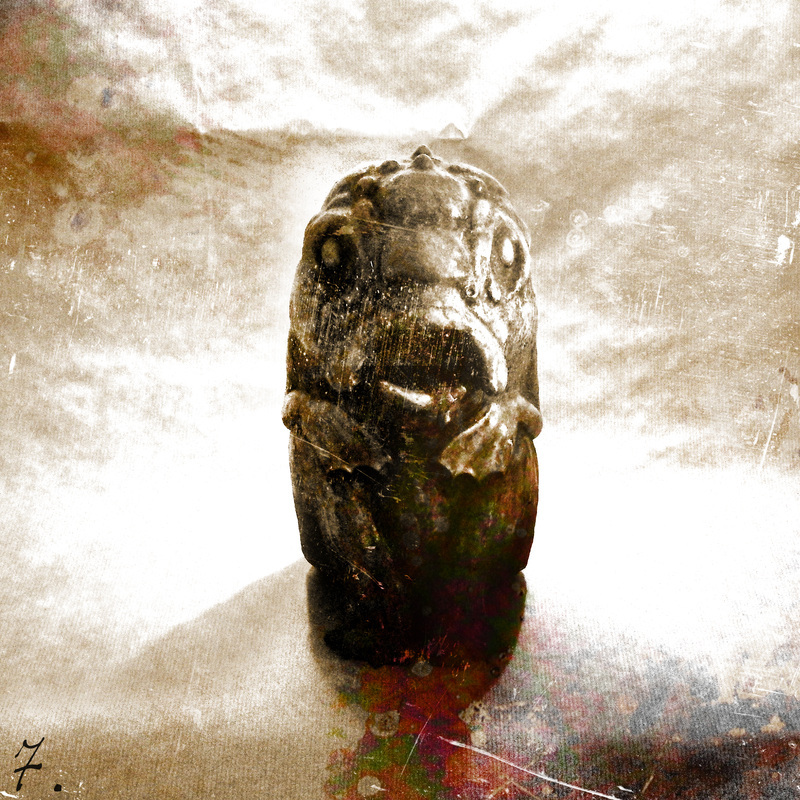 Of course heavily inspired by the mythos of Lovecraft. This is a work in progress, as it will all come together in a larger museum style display focused on the fictional Braddock expedition. 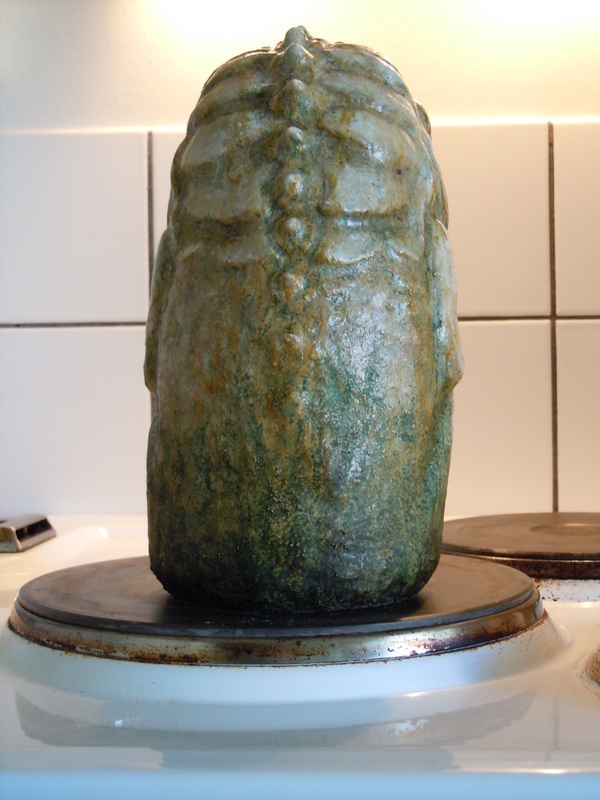 The statue is made in flour/salt dough clay.